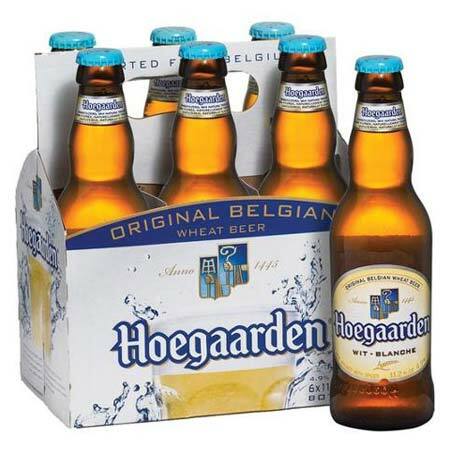 Overview Spiced with coriander and bitter orange peel, Hoegaarden—produced in the city of the same name—is generally regarded as the standard measure for the Belgian witbier style (“white beer,” a category of wheat beer). The brewery makes several beers, but this is the best-known and most widely available. Flavors and aromas There’s lots of banana (and other fruity esters) in the nose of this beer, plus some clove, which means this has a vaguely Bavarian hefeweizen atmosphere at first. But there’s more sweetness here, with floral, herbal notes building on the complex nose, and the palate yielding complex spices like subtle coriander. The mouthfeel is excellent, and the finish comes dry and light, making this a refreshing, invigorating beer.